Very few people put any forethought into planning ahead when it comes to securing their home, yet according to the Bureau of Justice Statistics, home burglaries involving the theft of an electronic device or household appliance increased from 28% in 2001 to 34% in 2011. Most think that putting up a few lights and installing a security system should be enough to keep them safe. Here are some tips to help you rise above the bare home security minimum. Avoid tall, thick shrubs around your windows and doors and avoid privacy fences. 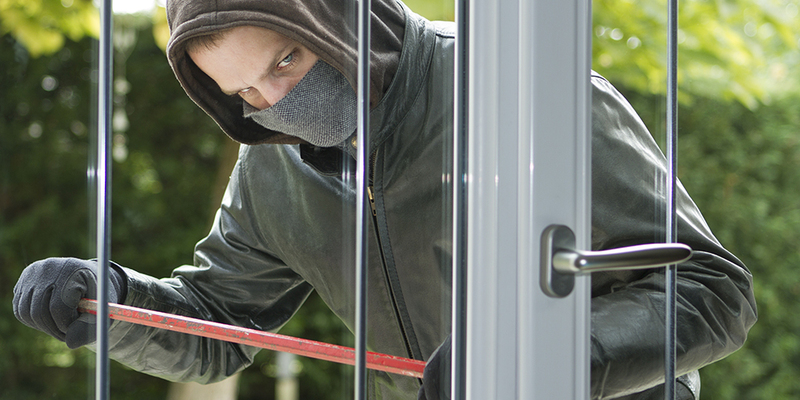 Burglars look for ways to conceal themselves while attempting a break-in. These are sure-fire ways to give them more time to figure out a way into your home. Install good exterior lighting on a timer to deter a burglar. The best method is to install motion activated floodlights on timers near major entrances such as the basement door, garage, and front porch. When the motion light comes on it tells you immediately that something or someone has encroached your personal property. Inexpensive solar lights are widely available on the market today. Keep valuables like an expensive car out of plain view and in the garage. Draw your blinds while away to hide valuables inside your home. Trash items like boxes that indicate you just bought something expensive like a new computer or TV. Burglars monitor a target before they make their move. They know when you and your neighbors leave for work. Switching up your routine and alerting your neighbors when you’re out may keep them away. A sticker indicating the name of your home security system is not as effective as you might think. In reality, this just serves to advertise the brand that you installed which can provide just enough information for a skilled burglar to disable it. You’re better off posting a generic security sticker in your front window. It might be hard to choose between a dog and a security system when it comes to home security. Believe it or not, a small yappy dog can be more effective than a quiet Doberman. Don’t fully depend on your dog unless he’s trained to attack. Many dog owners have found that once a thief enters a home and encounters a friendly dog, they can easily disarm it by feeding it which serves as a distraction while they’re robbing your home of all your valuables. Burglars look for homes that have windows that can be compromised. Install smash proof windows that are hard to cut instead of glass. Add window break alarms such as the Mace 80202 Security Alarm system to supplement your current alarm system. 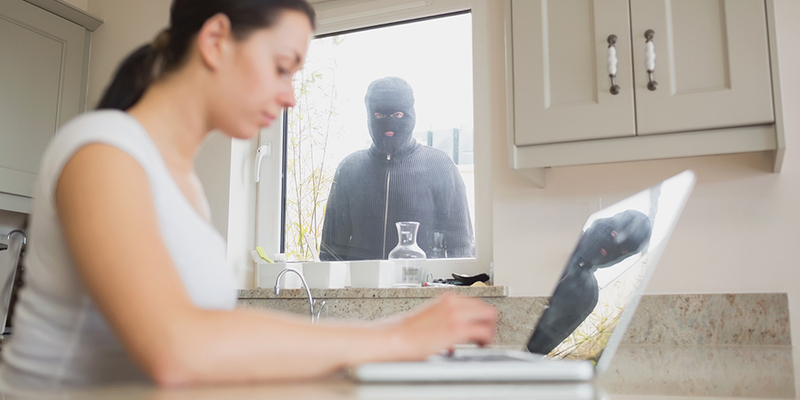 On average, burglars spend 8 to 12 minutes in your home. Most just want to grab something quick and get out. You can throw them off by leaving an old used laptop in the corridor of your home. The faster you can give them something that’s perceived as high value the quicker they will leave your home. Set the lights in your home on timers, particularly those by major windows. Set them to turn on after dark to give the appearance that someone is up and about late or that someone is home while you’re away. Consider leaving a TV on as well, which when combined with a loud dog bark is sure to scare burglars away. Don’t leave knives, baseball bats or anything that could be used as a weapon out in plain view in your home. Smart robbers will look for something easy to arm themselves with as soon as they enter a home. Even if they don’t intend to use violence (and most don’t), they want to be prepared in the case of a possible confrontation. The pickle here is that if you accost a robber in your home and you get stabbed with one of your own kitchen knives, the robber can argue self-defense and that it wasn’t premeditated since he didn’t bring a weapon with him when he entered your home. The majority of the time, victims who arm themselves end up having the weapon used on themselves. The best option is to call 911 and keep them on the line. Install a double cylinder deadbolt with metal reinforcing plates on the door frame and door. Most burglaries are crimes of opportunity and the most common means of entry is simply smashing through the back or side doors or windows, often by pushing a window air conditioner unit in. It’s important to make sure your air conditioning unit is secure so this doesn’t happen to you. Well- mounted security doors or burglar bars on the ground floor are a good addition if necessary. If you install a double cylinder deadbolt, make sure to know where your keys are at all times to avoid a potential issue when trying to exit your home in the event of a fire. Burglars are never prepared to answer the element of surprise and the minute they feel challenged or the job becomes a headache for them, they’re usually quick to exit. Most people are within six degrees of separation from their intruders. One of the best actions you can take is to be very aware and cautious of who enters your home. Teens who are friends of your own, maintenance workers, housekeepers and any visitors who do not have official business at your home should be checked out before you allow them to enter. The more you know about the people in your immediate personal surroundings, the better prepared you will be in the event of a security breach.